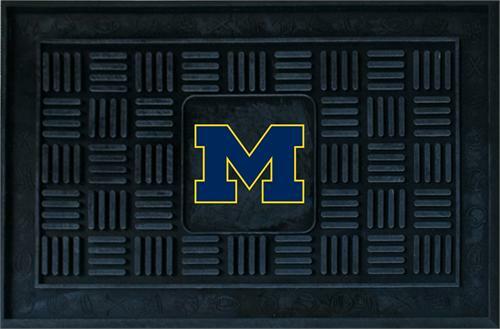 Wow your guests with a Michigan Wolverines Medallion Door Mat by Fanmats/Sports Licensing Solutions. 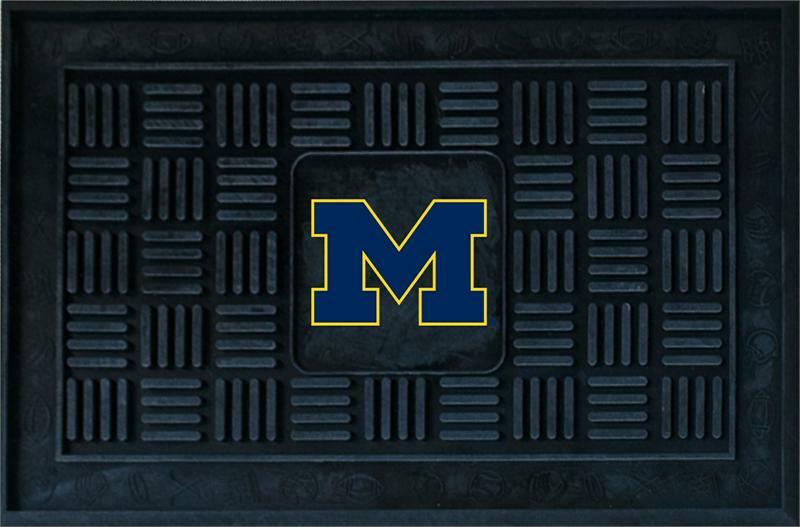 Adorned with the Michigan Wolverines Logo, this door mat makes a huge statement on your team while keeping dirt and mud from entering your home. Heavy duty vinyl construction ensures a durable mat, a deep reservoir contains water and debris, and rugged ribs scrape shoes clean. Dimensions: 19" x 30 "